We talk about living the Sea-Doo life a lot around here. 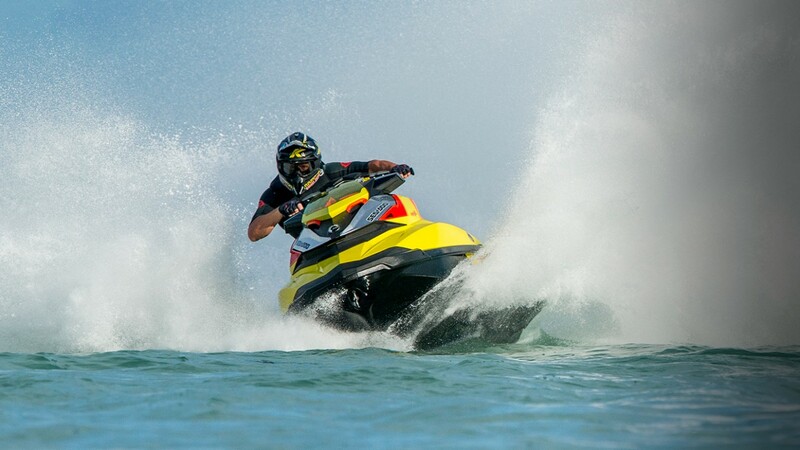 For us, it’s about the passion you have to be out on your Sea-Doo watercraft and melding that excitement with all parts of your life on a day-to-day basis. 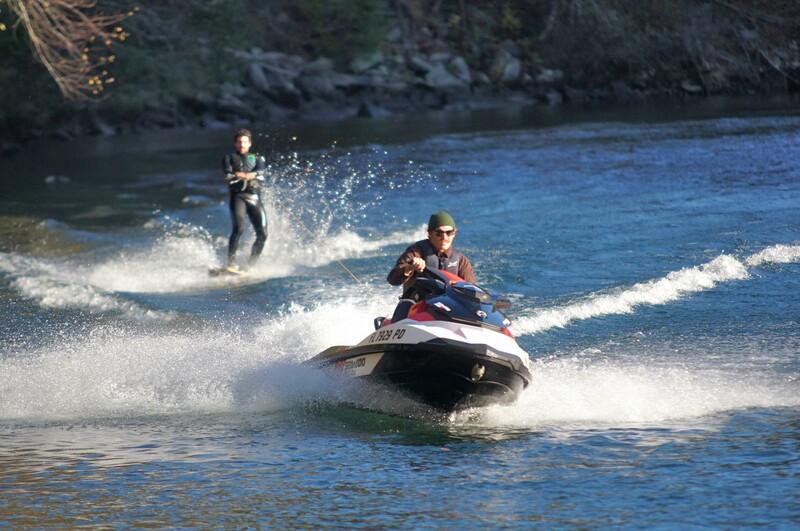 After all, there’s more than one way to enjoy your Sea-Doo watercraft. Here are five new things our team is excited about trying this summer. Waterfront House Hunting: Instead of sitting in a car all day and driving from one house to the next, take a little journey by water and be sure that the views from your new home are perfect from the start. Whether you’re just taking in the amazing waterfront homes for future inspiration or actually in the market to purchase, searching by Sea-Doo watercraft will help you see if a property meet your lifestyle needs. With ample storage space and options to add a storage tray, you can have everyone you’ll need on hand. 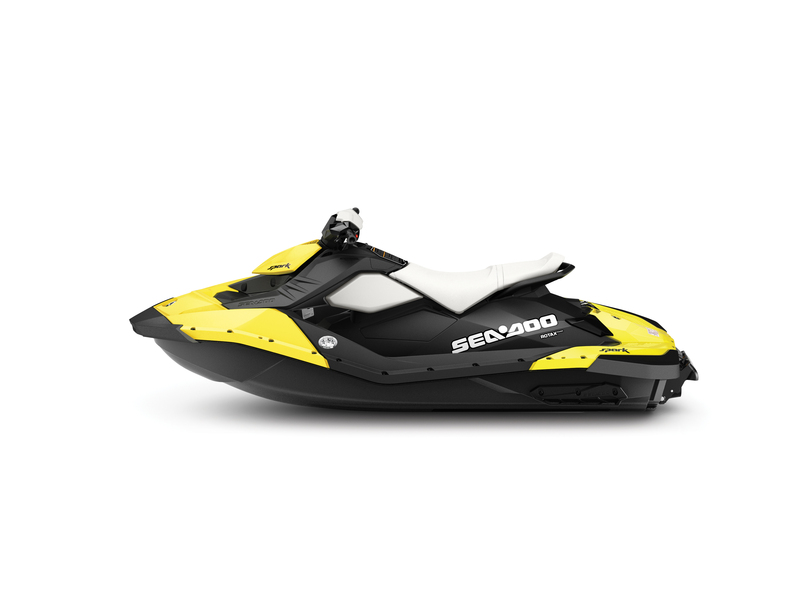 And, accessories like the Sea-Doo Speed Tie and Ladder assist with docking and boarding your Sea-Doo watercraft. Are you an avid explorer waiting to cross larger bodies of water, are you seeking the thrill of the race, or are you looking for a more intimate waterfront experience where you can enjoy a relaxing body of water? Let your ride guide you to your next home. Fishing: Sure everyone’s been fishing, and everyone who’s reeled one in knows how satisfying that feeling is. But, fishing by Sea-Doo watercraft, well, that’s definitely new. Over the past couple of years, we have received some interesting shots and feedback from fans on fishing-rigged Sea-Doo watercraft which is not a huge surprise considering technologies like the Intelligent Suspension (iS) system that automatically adapts to isolate the rider from the impact of rough waters during offshore riding and Intelligent Brake & Reverse (iBR) which for better control of the unit. Wakeskating: Sea-Doo has been involved with the wake industry since the inception of the sport in the early ’90s, and our commitment to the sport is stronger today than ever. The talented Nike Wakeskate Team has been instrumental in providing feedback for the Sea-Doo WAKE PRO, the only watercraft specifically designed for board sports. 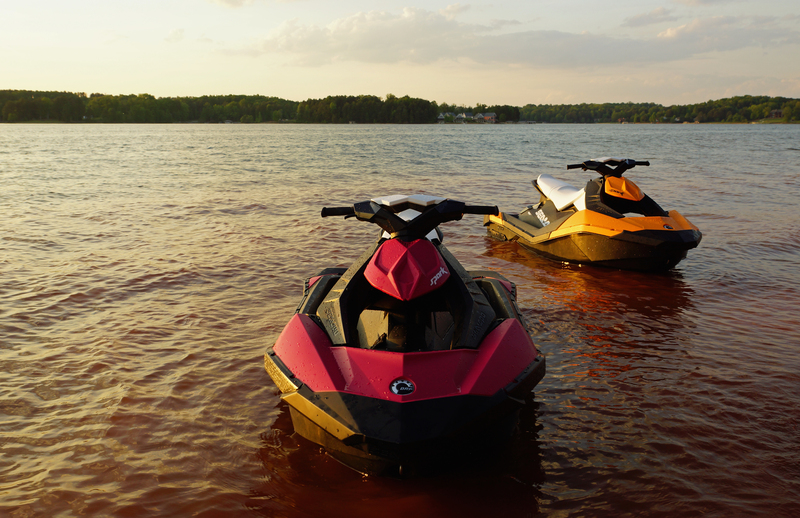 The Sea-Doo “DOO IT” instructional video series offer quick tips on how you can take your riding to the next level. Endurance Adventure: Not too long ago, we wrote an adventure post about taking your Sea-Doo watercraft on a longer than average ride. Crossing larger bodies of water is a challenging and thrilling experience that will provide memories that last a lifetime, and prepping for such a ride will help you not feel the slide of the dog days of summer. Bonus – Water Delivery Service: For those not looking to take any time off this summer, see a need and fill it. That’s exactly what a Colorado pizza restaurateur did when he began delivering pizza to boaters on his Sea-Doo watercraft. So, your summertime dream business could be right at your fingertips. 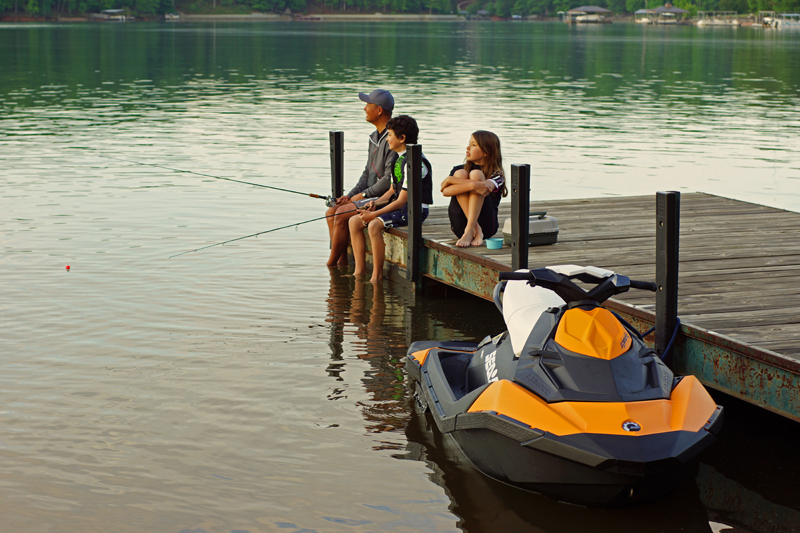 Disclaimer: Do not make any unauthorized modifications to your Sea-Doo unit or use accessories not approved by BRP, which can increase the risk of accidents or injuries. How do they DOO it? The best wakeskaters in the world ride for Nike behind Sea-Doo watercraft and each has outfitted their Sea-Doo with accessories to take advantage of the ultimate tow vehicle. 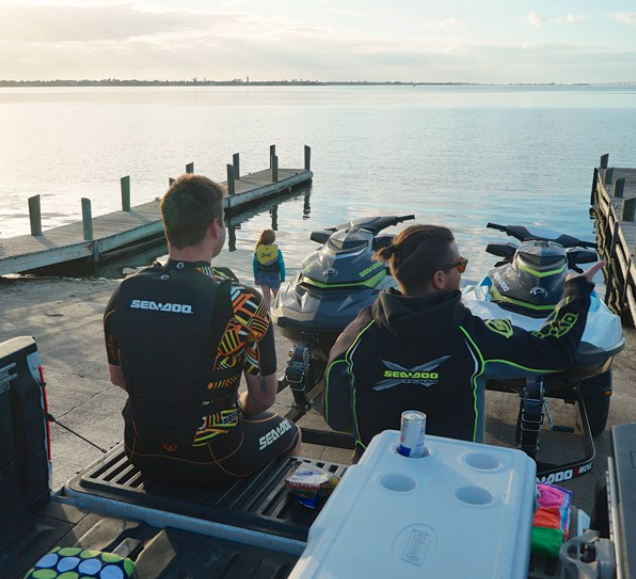 Whether you are pulling a wakeskater, wakeboarder or towing a tube with screaming kids, the accessories needed are all available at the Sea-Doo online store and in your local dealership. Did your PWC come with Ski Mode? Ski Mode makes acceleration consistent, no matter who is in the driving seat. It includes five acceleration modes so youcan pre-select and set the mode preferable for each skier’s style or preference. If your watercraft is 2011 or newer and does not include Ski Mode you can purchase the software that plugs into your diagnostic connector. The program includes all hardware necessary for installation. This module is available for 2011 and newer models with iBR (Intelligent Brake and Reverse). Wakeboard Rack: an essential if wakeboarding is your ‘thing.’ Without a rack the riders will carry their boards or hold them in their hands when searching for the perfect waters. A wakeboard rack makes storage of your wakeboard and traveling with your board much easier! Sea-Doo has a wakeboard rack that is specially designed to fit our PWCs and are compatible with the following models: iS 2010 GTX, RXT, RXT-X & WAKE PRO, 2011 GTI and GTS, GTR 2012. Click here for more information on our Sea-Doo Wakeboard rack. A great ride starts from a solid connection with the watercraft. 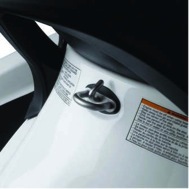 Sea-Doo watercraft come equipped with an existing U-ring for towing, adding a Ski-Eye to this U-ring ensures a strong connection between the rope and the watercraft. If your model does not include a Ski-Eye, you can install one quickly and easily. The Ski-Eye is designed for the following models: GTX, GTS, GTI, RXT,2012 GTR, 2012 RXP-X, and can be used for pulling any type of skier or inflatable. For more information on the Ski-Eye click here. 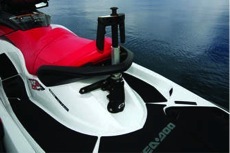 Sea-Doo Wake models come equipped with a Retractable Ski Pylon that makes it easy for a spotter to sit on the back of the watercraft and includes built in grab rails. This ski pylon provides a higher pull point for the rider, the higher the pull point, the easier it is for the rider to get up on top of the water. The Retractable Ski Pylon fits the following models: RXT X, GTX, RXT, except models with iS, GTI & GTS (2011), GTR 2012. For more information on the Retractable Ski Pylon, click here. 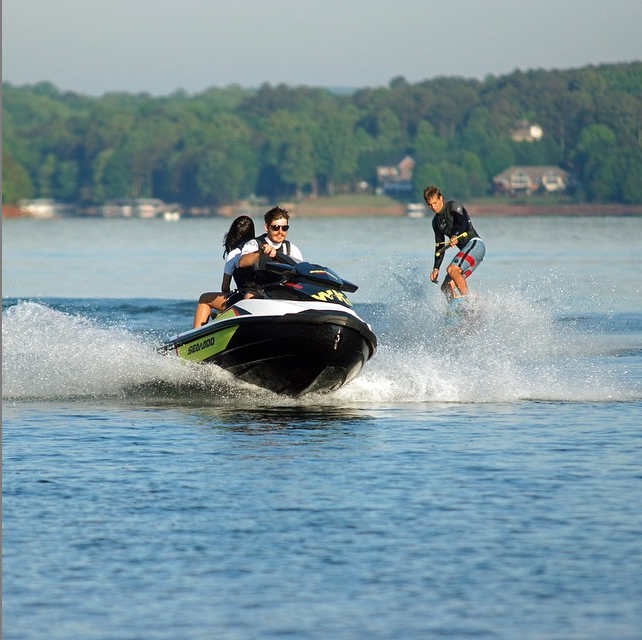 A Sea-Doo Shock Tube protects passengers from ski rope kick back and helps keep the ski ropes away from the PWC impellers. This durable nylon covered, closed-cell foam Shock Tube provides riders with added peace of mind. The Shock Tube is installed closest to the watercraft for protection purposes. 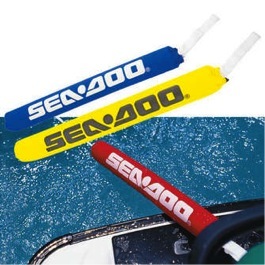 For more information on Sea-Doo Shock Tubes, click here. 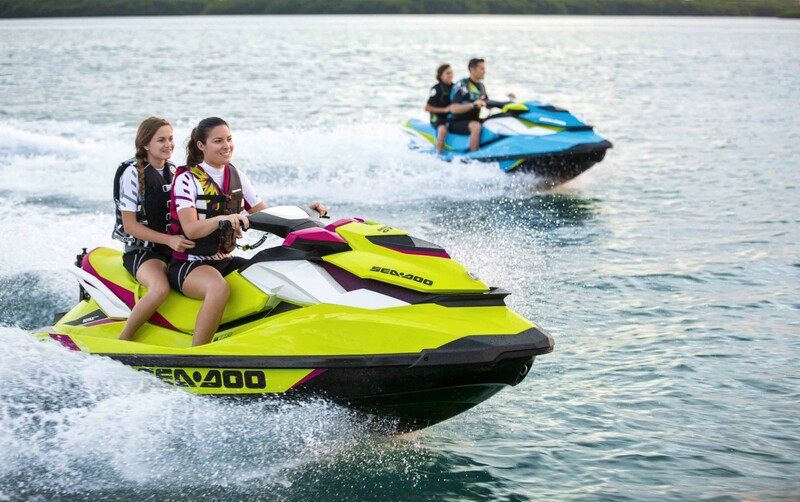 Sea-Doo accessories will add ‘game’ to your towing activities and make you the envy of all of the other skiers, skaters or tubers out on the water! For more insight or instruction on Wakesports and to learn how to “DOO” some of those inspiring Nike 6.0 wakeskate tricks, check out the Sea-Doo “Doo It” Wakeskate video series. Sea-Doo watercraft are arguably the most versatile vessel in the world and award winning Boating Magazine writer, David Seidman has made it his personal quest to prove this. Seidman has ridden Sea-Doo GTX watercraft from Alaska to Russia via the Bering Straight, fished for marlin in the gulf stream aboard a three seater and now wake skating on Smokey Mountain waters no boat has touched before. 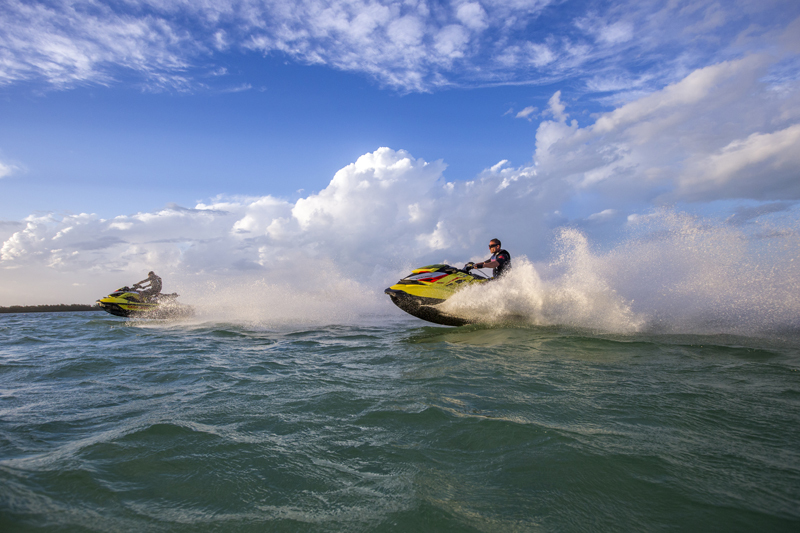 Seidman coined the working title of his latest article “Get off Your Asphalt” to exemplify the possibilities of taking Sea-Doo watercraft where traditional boats simply can’t get to. Joining him on this adventure was the Nike Wakeskate team duo of Ben Horan and Yan Lecomte to a REMOTE location that normal tow vehicles could not reach. The tow vehicle for this, “over the mountain and through the woods…” trek would be the advanced and powerful Can-Am Commander XT side-x-side vehicle towing the official on-water tow vehicle of the Nike wakeskate team, the Sea-Doo WAKE 155 watercraft. These were the tools for the project deep in the mountains of North Carolina. During their adventure they found themselves searching for water, challenged by mud, fallen trees, diverse terrain, and thrilled to discover virgin waters, perfect for wakeskating. Read all about how BRP is the ultimate recreational adventure makers in this month’s issue of Boating Magazine, or read the full story online at Off-Road Boating Adventure. Thanks to Boating Magazine for showing boating adventure beyond the norm.